Dale Power Solutions has been awarded the Queen’s Award for Enterprise: Promoting Opportunity 2018. The award has been given in recognition of the very successful apprenticeship programme that the company has been operating for a number of years. Dale Power Solutions is one of the first companies in the UK to be awarded with the newly initiated Princess Royal Training Award 2016 in recognition of our outstanding training and skills development programmes. 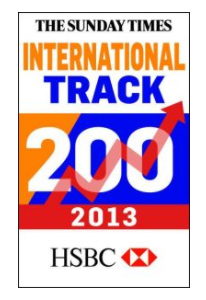 Apprenticeships, Regional and National Awards. 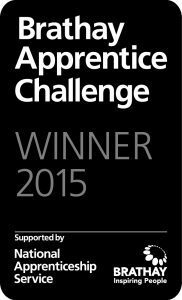 Recognising top apprenticeship employers and apprentices across England. Showing how apprenticeships have made a real contribution to their organisation and careers. 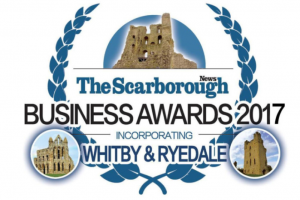 Dale Power Solutions has been awarded "Employer of the Year" by Scarborough Business Awards, this is now the third accolade won - 2014, 2015 and 2017. 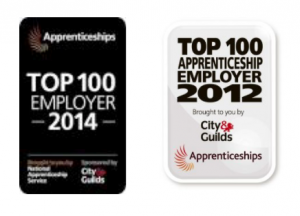 The City & Guilds Top 100 Employers list is compiled annually and features businesses that entered the National Apprenticeship Awards and were selected as having displayed the highest standards of excellence in employing apprentices. To win the Brathay Apprentice Challenge, our team undertook a series of exciting and interactive work-related challenges to develop new skills and showcase Dale, by engaging with young people and businesses to promote the benefits of apprenticeships. The challenges are designed to ensure that the teams demonstrate their teambuilding, leadership, logistical and communications abilities.